The Hotel Alexandra in the South End, which was put on the market by the New England branch of the Church of Scientology. The New England branch of the Church of Scientology will establish a new headquarters in the Allston neighborhood of Boston after buying an office complex near the Massachusetts Turnpike. The local Scientologists purchased the 70,000-square-foot office building at 212-214 Lincoln St. and several smaller adjacent properties for $15 million, church spokesman Kevin Hall confirmed. “It gives us a stable place where we can help people with our services while not having to be in the real estate business anymore,” Hall said. Hall said the church has not settled on a move-in date yet, but would probably need time to design and construct changes to the interior that meet specifications handed down by the International Church of Scientology. After selling its longtime headquarters on Beacon Street in the Back Bay in 2013 for $10.5 million, the Boston chapter has been operating out of temporary office space in Quincy Center. The church’s decision to list the five-story building at the corner of Washington Street and Mass. Avenue is a significant reversal. Hall said the church would work with several small companies currently leasing space in the Allston buildings “to make them happy.” Marc LaCasse, the church’s real estate attorney, said the Scientologists would eventually occupy the entire main office building on the site, which was built in 1984. News that the controversial church would take up residence in Allston is already causing concern among some residents; a Facebook group named “Allstonians Against Scientology” had attracted nearly 50 members late Tuesday. In November, the local Church of Scientology listed for sale the historic but dilapidated Hotel Alexandra in the South End, which it bought in 2008 and promised to renovate into a new headquarters. 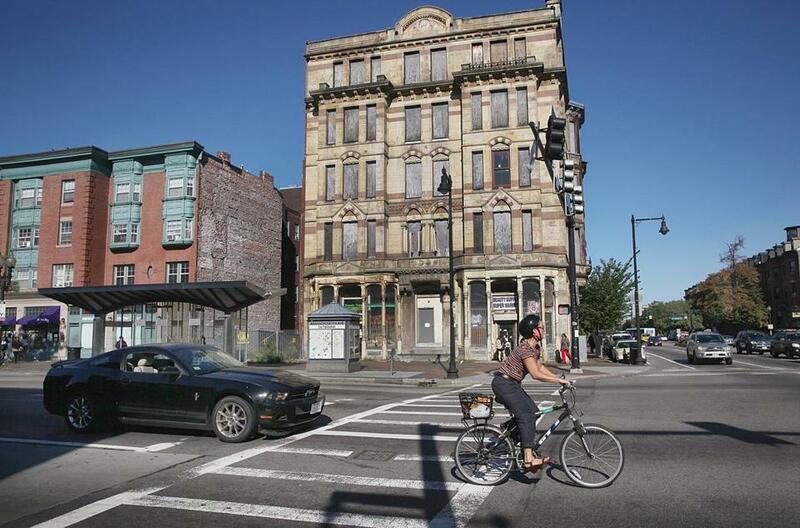 The restoration of the long-neglected eyesore was to have been funded by the sale of the church’s former Beacon Street headquarters in the Back Bay, but that property took years to sell amid the economic downturn and the improvements to the Alexandra never materialized. Neighbors complained for years that the boarded-up Alexandra was a blight on the area and accused the church of sitting on the property. The building has not yet been sold, but developer interest in the property is high, according to Hall and LaCasse. Developers have said the Alexandra could become high-end condominiums or a boutique hotel. An abortive effort by the New England Scientologists to rent space in the Newmarket industrial area of Boston last year ended in a lawsuit, with the landlord accusing the church of repeatedly revising and eventually breaking the lease. Hall said the church borrowed some of the $15 million for the new Allston buildings from the International Church of Scientology, which typically requires its regional chapters to be financially independent. The New England group will pay back the central church with the proceeds of the Alexandra sale, he said. Dan Adams can be reached at dadams@globe.com. Follow him on Twitter @DanielAdams86.